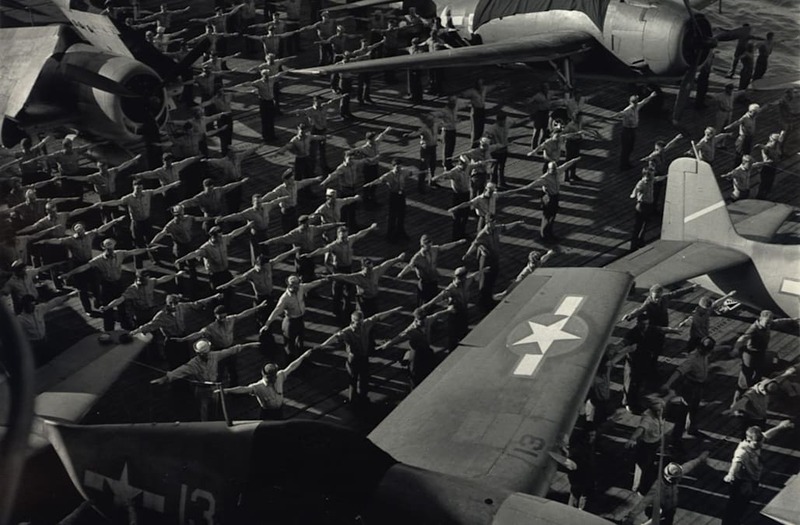 Shortly after the entry of the United States into World War II, the Navy established the Naval Aviation Photographic Unit to create images for pilot recruitment campaigns. The Navy was competing with the Army Air Corps for a limited pool of skilled airmen, and needed top-rate images to give them an edge in attracting talent. They asked Edward Steichen, one of the most renowned and well-paid photographers in the world, to assemble a team. Steichen recruited a handful of men, like Wayne Miller and Horace Bristol, who would go on to become famous in their own right. One of the lesser-known members of the unit was a young ensign named Alfonso "Fons" Iannelli. A recently discovered archive of Iannelli's work is the subject of a new exhibition at Steven Kasher Gallery in New York, Fons Iannelli: War/Post-War. The son of an Illinois sculptor, Iannelli was initially recruited by Steichen to work as an assistant and darkroom technician, but was soon promoted to photographer. While his job required him to create images that would please the naval brass and make for attractive posters, he also focused on capturing the emotions of the sailors as they went about their daily tasks under the Pacific sun. Iannelli composed his images with formal rigor and sensitivity, elevating mundane moments such as lounging on bunks or sitting on deck into works humming with melancholy, mystery, and grandeur. After the war, he went on to become a successful photojournalist for a number of magazines, founded a photographer-run cooperative agency and movie production studio, and developed a number of technological innovations in photography and motion pictures. Fons Iannelli: War/Post-War, which brings together the images he shot at sea with images he shot of everyday life in post-war America upon his return, is on view at the Steven Kasher Gallery in New York through August 11, 2017.